Doom metal and tragedy are intertwined. The music, slow and heavy, leads gradually towards redemption and serves as a means for the unfolding of the stories of the pain and woes of man. Doom metal is a dance, a bleak and sorrowful waltz that sings of the suffering of man while at times praises the spirit of revolt and the pursuit of salvation. In 2015 Lachrymose released the story of a witch who was accused and sentenced to the pyre for the crime of defiance against the dogma of religion. Carpe Noctum is doom metal that brings to mind the aesthetics of Paradise Lost in the times of Gothic and Icon. 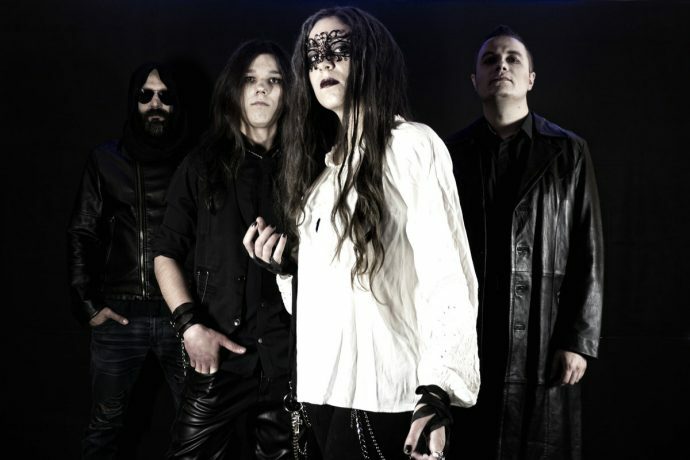 Through their music we follow her journey, as it is performed by vocalist Hel, from life to death and her return from the dead by a necromancer’s ritual. But something went terribly wrong. When the thin veil between the living and the dead opened, vengeful spirits passed through and got inside her now living body. Her mind remained in the medium world, between the living and the dead, where everything and nothing is true, where spirits dwell in the fog of the underworld. The Unseen, released in May, concludes the story in five chapters/songs and it continues from the moment of her resurrection. One could wonder who or what the unseen is. The tormented witch did wake up, but not in the physical world. She woke up inside a dream, a prison cell of the mind, where everything that is seen by her, is unseen by us. She entered the metaphysical realm and became trapped, while her body remained unconscious. The Unseen is her story of liberty through death. The main riffs bring to mind the traditional doom metal of Candlemass and the gothic atmosphere of Paradise Lost. The drums are robust and steadfast throughout the album, maintaining and changing the pace of the story whenever it is necessary. The bass lines support the guitars while at times they appear in the front, taking the lead. The music can be seen as a communion of sounds with the purpose of supporting the performance of Hel. She plays roles and shifts between the different emotional states of the main character; from the sensitive and frail struggle of keeping herself alive in an unseen and clouded world, to the cynical acknowledgement of her state and her acceptance of what needs to be done. Hecate, though, is accompanied with ghosts of the past that torment those who get lost in Her realm. In “This Sickness” – with its excellent drumming and riffs – our hero finds herself floating in an endless void, and her desperation breeds the fire that the lost souls use to madden her. She reacts to her pain and stands on the “altar of her doom” and sees “Nepenthe” – check out the video below – as the way to her salvation. In ancient Greek mythology, Nepenthe was a medicine of forgetfulness, and in our story, the draught is in the chambers of Lethe, the goddess of forgetfulness. The final chapter, “Capricorn Descending (feat. The Dead Creed)”, begins with Macbeth’s soliloquy — act 5 scene 5 — after he learns about the death of Lady Macbeth. With this analogy, we are also informed of the death of our hero, as she lies by the river. But this death signifies the death of the hero’s persona on the stage of a life that was never meant to be fulfilled by her. It was a stage for the metamorphosis from a witch to a heathen, from a child who follows the words of others to an individual who does not bow to any dogma, be it a dogma of light or a dogma of darkness. 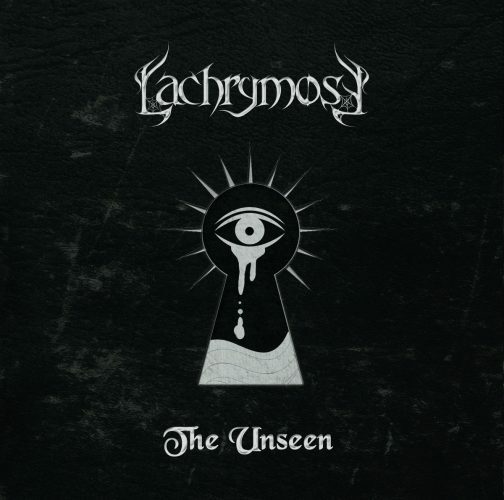 The EP is a complete story by itself and a successful step for Lachrymose. The production is clear, heavy, giving justice to the work of everyone who took part in the making of this album. The compositions honor doom metal and the band has a lot more to give in the future. Tragedy and doom are meant to work together and The Unseen is proof of that.